Divi Post Extended is a plugin to enhance appearance of Divi single post template. 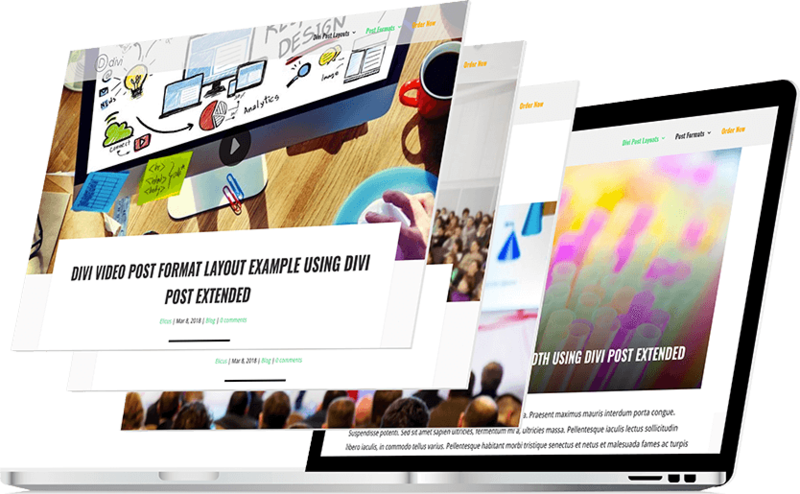 This plugin has three beautiful Divi post layouts which can be applied to all or selected blog posts. The available Divi post layout options are Stellar, Prime and Classic. These layouts not only transform the default Divi single post layout but also the WordPress post formats including Gallery, Video, Quote, Link and Audio. Looking for Divi blog post layout options? This plugin is ideal choice for users who want to use power of Divi to create a blog with beautiful post layouts. Change the look and feel of posts on a Divi website. No coding and manual editing of the individual post is required. Check out the demo for available Divi post layout options. Divi Post Extended changes the way Divi single post template works. It overrides the default Divi single post layout and displays posts with a unique and modern look. There are 3 available options to chose from to give the posts a new look and feel. These layouts are Stellar, Classic and Prime. These layouts can be applied with or without sidebar globally or per post basis. There is no editing of individual Divi blog posts required in order to use Divi Post Extended. It is not a Divi library layout and thus there is no need to copy the layouts to a post and add content. It works as a plugin and can be applied in less than a minute with a few clicks. One of the coolest feature in Divi Post Extended is the ability to use the existing layouts with different post formats and create a unique look along with maintaining the post type functionalities. For example, the gallery post type can automatically grab all the images added as gallery on a post and display the images in form of a grid at top. The audio and video post formats shows play button for the media included as audio/video. Check out the demo for more information. Divi Post Extended can be applied to a specific or all blog posts. The plugin also has option to use the default layout available in Divi theme. This makes it possible to apply a custom layout by overriding the global settings on selected posts. Already purchased the Divi Post Extended and need assistance with it? We have some frequently asked questions available listed for this. You can also send us an email using the support link.